In Glengarry Glen Ross (one of the best movies ever), Alec Baldwin’s character Blake delivers a speech to some underperforming salesmen. During the hilarious, profanity-laden speech, Blake discusses the AIDA method of selling. The idea is that by following these specific elements, you can lead the prospect to take the action you desire. And you know what? It works. Almost every great ad, sales letter, website, etc., follows this formula to reel customers in and make conversions. Today, I want to talk about using the AIDA system for writing your press releases. Can you really follow this simple system to engage readers, get reporters calling you for interviews, and have customers visiting your website to learn more? Yes. And I’m going to show you exactly how it works. We begin with A for attention. 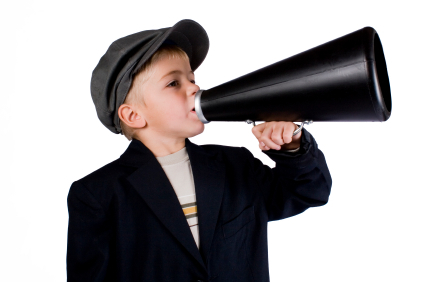 The first thing your press release needs to do is get the reader’s attention. Journalists are busy and so are your customers. So, how are you going to get their attention? It’s all about the headline. This is the first thing any reader sees, so it needs to be great. Your headline should be clear, catchy, and to the point. Generic headlines (e.g. ABC Company Announces Bla Bla Bla) need not apply. While you want to make sure your headline grabs the reader’s attention, you don’t want to resort to any gimmicks or hype to do so. Remember, this is a press release. It needs to be focused on news and facts, not marketing BS. Once you have the reader’s attention, you need to keep them interested. The best way to do this is to follow up the headline with a good subtitle and a strong opening paragraph. Don’t waste any time here beating around the bush. Immediately get to the subject of your story, and include the most pertinent information up top. Less important, supporting details can be used later to fill out the story. D is for desire. You need to create a feeling a desire in the reader. They need to be excited about your story. This is where you need to keep the press release upbeat and engaging by including great supporting details, facts, interesting case studies, powerful quotes, and so on. Again, trim the fat and focus only on the juiciest bits of your news. And finally, you want your readers to take action. If your press release is targeting reporters, you want them to get in touch with you to learn more details. Always make sure to include your contact information. If the press release is targeted at consumers, you want to tell them where they can go to purchase your product or to learn more about your offer. That’s really all there is to it. If you stick to these essential elements, you’ll create more interesting press releases that get readers excited.